Learn everything you need to know about your 28 month old toddler. Track important developments and milestones such as talking, walking, growth, memory & more. 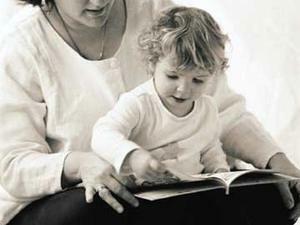 Not only is babbling turning into talking, but around this age your child begins linking words into complete sentences. She might be very animated and excited that she can now share her observations with you. She'll still mispronounce many words with frequency, but you can help her to say them correctly. One of the best ways to do this is to model language for her. For example, you could show her a jacket and tell her, "This is my jacket. It's a red jacket. It's a warm jacket" and eventually she'll try saying the word "jacket" by herself. 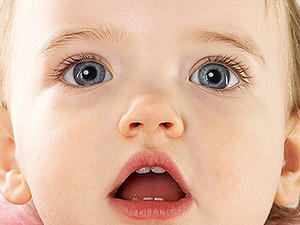 Avoid baby talk with your toddler. If she consistently mispronounces a word, repeat what she said back to her saying the word properly and with good articulation. In other words, don't imitate your tot, rather let her imitate you. And if she says a hard word correctly, offer a bit of praise so she knows she got it right. As your toddler has more success with her speech, she'll have a confidence boost and be apt to tell more about what's happening in her world. Continue to encourage her to tell you about her day and enjoy hearing what she's so excited to tell you! Toddlers are consummate explorers, using all their senses for investigation -- including taste and feel. If your child can't figure out what an unfamiliar object is, she might stick it in her mouth and roll it around her tongue in search of new clues. But your kiddo has a much smaller airway than you do, and anything she puts into her mouth can become a choking hazard. Your days of toddler-proofing are far from over; stay on the lookout for dangers, even on your child's highchair tray. A good rule of thumb is that if something fits inside a cardboard toilet paper cylinder, it's small enough to cause choking. Coins, marbles, batteries, game pieces, and balloons -- whew! There are a lot of little things around the house, so do a sweep of the area regularly to put away these items. Foods are obvious choking hazards, and though your toddler has grown so much, she still needs you to watch her while she's eating and serve foods in appropriately sized pieces. Hot dogs and grapes should be sliced lengthwise before you cut them into bite-size pieces. Avoid raw, crunchy foods such as firm apples or carrot sticks, and stay away from globs of peanut butter. Nuts, popcorn, hard candy, gum, and hard-to-chew foods such as steak or bagels are all no-nos. While you might be tempted to give your child a snack in the car or at the playground, it's best to feed her at the table. Food could become lodged in your tot's windpipe during play or in the car if you come to a fast stop. Are You Trying to Be a Supermom? There are days when parenting feels like more than a full-time job. Moms are often not only the main caretakers of kids but also the housekeepers, chefs, taxi drivers, doctors, accountants -- and the list goes on! Whether you're a stay-home, work-at-home, or go-to-the-office kind of Mama, you might feel pressure to strive for perfection: that sense that you have do it all, and you have to do it all really well. Juggling the demands of home, work, parenting, and marriage can be tough, but when you strive to be Supermom, you're heading for a fall. And unfortunately, one of the first things to suffer in the effort to achieve excellence is your relationships with your family. It takes a lot of time to keep an immaculate house, prepare gourmet meals, and volunteer for every worthy cause that comes your way, leaving little time for yourself, your friendships, your marriage, and your toddler. If you find you're stuck in the Supermom trap, ask yourself how you got there. Whose expectations are you trying to meet and why? What do you have to gain by trying to be everything to everybody? Are you shortchanging anyone in the process? You know in your heart that perfection's not all it's cracked up to be. Choose happiness and contentedness instead! Evaluate your priorities and work for balance in your family life and everything else. This might mean getting better organized, streamlining your household routines, learning to say no to certain commitments, and learning to say yes to offers of help (like when Grandma wants to babysit for an afternoon). You can experience more time and happiness with your toddler -- which is why you had her in the first place! 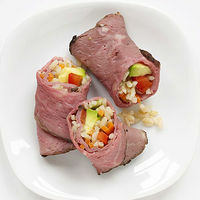 Try these fun ideas for dinner -- no utensils needed!